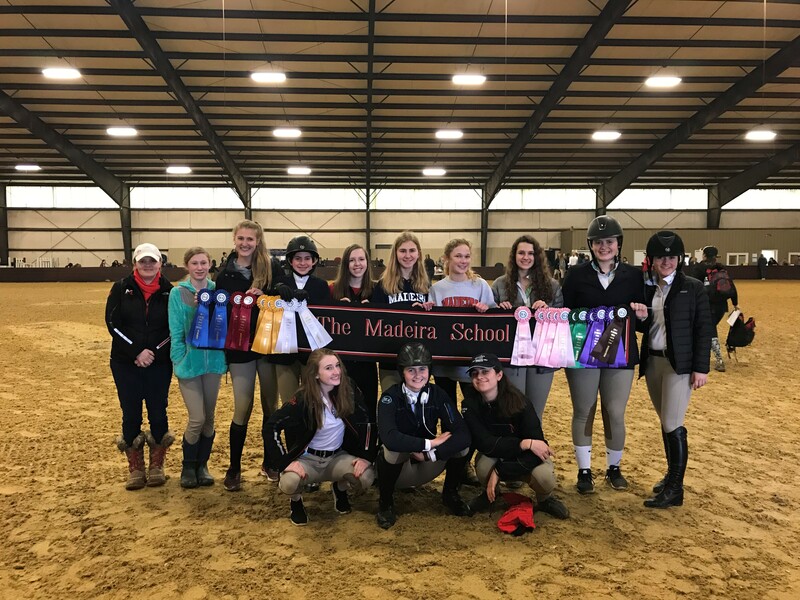 Madeira’s Interscholastic Equestrian Association (IEA) team had a strong showing at the IEA Bi-Regional Finals in February. IEA competition is unique in that riders do not supply their own horses or tack. Scores are based upon horsemanship and equitation, and the host team provides the horses and equipment. All disciplines offer a variety of ability levels from beginner through advanced. Emma Knisley ’18 won the sportsmanship award for the show. This honor is voted on by all of the coaches and officials at the show. Ally Edwards ‘18 and Ella Stux ‘21 were also recognized as the high point riders in their respective classes for the regular season. Madeira had more individual qualifiers for Zones then any other team from our region. Ava Brugger ’19: 2nd in the open flat. Bridget Vaughey ’19 placed 2nd on the flat and 3rd in Intermediate over fences. Grace Frulla ’21: 5th in intermediate over fences. Eliza Cart ’20: 5th in novice flat. Mikayla Connolly ’20: 1st in novice flat and 5th in novice over fences. Sydney Newburn ’19: 3rd in novice over fences and seventh on the flat. Ella Stux ’21: 1st in Beginner WTC. Samira Firouz ’19: 6th in the Beginner WTC. Ally Edwards: 8th in Open fences. Ava Brugger: 7th in Open flat. Bridget Vaughey: 3rd over fences and 4th on the flat. Mikayla Connolly: 5th in novice flat. Ella Stux: 7th in WTC. 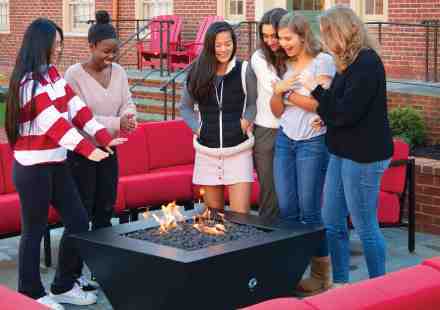 Ava, Bridget, Mikayla, Sydney, and Ella will be moving on to IEA zone finals held at St. Andrews University in Laurinburg, NC in mid-March.